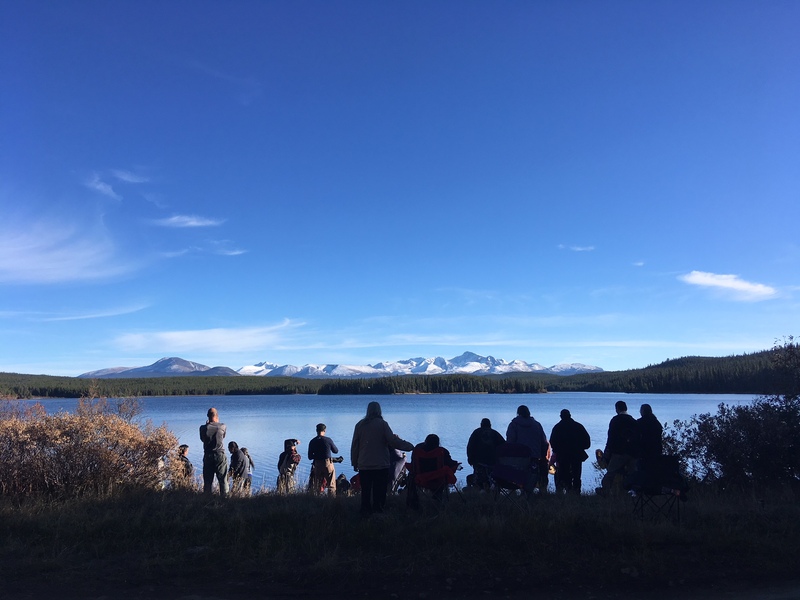 The Tsilhqot’in National Government (TNG) is back in court fighting to protect its lands and waters – Teztan Biny (Fish Lake), Yanah Biny (Little Fish Lake), and Nabas (the surrounding area) – from Taseko’s mining activities. Teztan Biny is a culturally significant keystone site to the Tsilhqot’in people, and is among the most productive wild trout fisheries in British Columbia. Taseko Mines’ proposed “New Prosperity” open-pit gold-copper mine would change the cultural and ecological integrity of the area forever. You might ask, haven’t the Tsilhqot’in already won this battle? Twice? The answer is yes, and yet here we still are. Opposing Taseko’s proposed mine is like playing Whack-A-Mole. Every time it gets rejected, it pops up again. The Tsilhqot’in have been defending Teztan Biny and Yanah Biny for decades from the proposed mine’s unacceptable impacts, and their strength and spirit continue to prevail. Our Environmental Dispute Resolution Fund and EDRF lawyers have been supporting legal efforts against the mine project on legal aid rates since 2011. While we know that it makes a real difference, our support isn’t enough to cover the enormous cost to the Tsilhqot’in of meeting the onslaught of legal challenges – human and financial resources that could be better used towards community initiatives like the Dasiqox Tribal Park initiative, which reflects the Tsilhqot’in vision for the area. The Tsilhqot’in need more support to continue delivering on their brave resolve to stand up to Taseko. Your support can help to make the difference – please consider making a direct donation to their fundraising campaign. Teztan Biny is a place of great spiritual power to the Tsilhqot’in. The Nabas region is within the traditional Tsilhqot’in territory where the people have hunted, trapped, fished, collected medicinal plants and practiced their culture since time immemorial. The lakes are home to a genetically unique type of rainbow trout. Their water is so pure that people can drink it directly. The area provides important habitat for the threatened South Chilcotin grizzly bear, and is also situated in the headwaters of the last major viable salmon run that comes up the Fraser River. 1990s Taseko begins extensive drilling in the Prosperity area. The Province engages in a series of meetings and discussions related to the proposed mine with affected communities. 2008 The Province begins issuing orders regarding the environmental assessment (EA) of this project; TNG makes submissions expressing opposition to the proposed mine. 2010 The Prosperity Mine project, which proposes to drain Teztan Biny and turn it into a tailings pond, gets a green light from BC (passing the provincial EA) but a red light from Canada. Canada concludes that the impacts on the environment and Aboriginal rights are unjustifiable. Taseko asks Canada if it can remodel its proposal for a “New” Prosperity Mine project and Canada agrees. Instead of turning Teztan Biny into a tailings pond, the lake would be surrounded by a massive open-pit mine, destroying Yanah Biny and the Nabas region, endangering trout spawning grounds, and threatening Tsilhqot’in homes and grave sites. In December 2011, TNG wins an injunction against Taseko, preventing the exploration program proposed at the time. The Federal Review Panel tasked with reviewing the New Prosperity mine project finds that the mine would cause significant adverse effects that cannot be mitigated. Taseko applies for a judicial review of the Panel Report. On the basis of the Federal Review Panel Report, Cabinet rejects the project again. Taseko applies for a judicial review of the Cabinet decision as well. In a separate, historic decision, the Supreme Court of Canada recognizes the Tsilhqot’in Nation’s Aboriginal title to approximately 1750 km2 of its traditional territory in an area adjacent to Teztan Biny and Nabas, and further recognizes the Tsilhqot’in people’s Aboriginal rights to hunt, fish and practice their unique culture at Teztan Biny, Yanah Biny and a broader portion of their territory. 2015 Despite the second federal rejection of the project, BC orders an extension of Taseko’s provincial EA approval, which would have expired that year because the project had not been started. While the Tsilhqot’in are fighting devastating forest fires in their territory, the outgoing BC government amends a permit to allow Taseko to conduct an extensive exploratory drilling program in the area around Teztan Biny. This is including 76-km of new and re-opened road and trail,122 drill holes and 367 excavated test pits. The TNG applies for a judicial review of the permitting decision and requests an injunction. A month later, the federal government files for a permanent injunction to stop the exploratory drilling program under the Canadian Environmental Assessment Act, 2012. In December 2017, the Federal Court dismisses both of Taseko’s legal challenges to the Federal Review Panel Report and Cabinet rejection of the project. Taseko has since appealed both dismissals in the Federal Court of Appeal. In June 2018, the BC Supreme Court turns down Canada’s request for a permanent injunction against the drilling program under CEAA 2012. However, in a separate decision in July, the BC Supreme Court awards an injunction to the Tsilhqot’in Nation, putting a temporary stop to any further activities by Taseko until the Court rules on the Nation’s legal challenge of the 2017 permit amendment. This case is closer to being over than it has ever been, but it’s not over yet. Even if TNG wins the current litigation and Taseko does not appeal, the mine will not necessarily be dead. A victory in this judicial review could mean that the permits are quashed, or that the Court orders the Province to reconsider its decision to permit Taseko’s drilling program. The Tsilhqot’in would still need legal support to represent their interests and participate in BC’s reconsideration process. Further, focused effort is needed to support the Tsilhqot’in to permanently protect the area through the Dasiqox Tribal Park Initiative, which envisions a management regime that prioritizes Tsilhqot’in values such as ecosystem protection, cultural revitalization and sustainable livelihoods. Stand with us and show your support for the Tsilhqot’in people by donating to their fundraising campaign today.